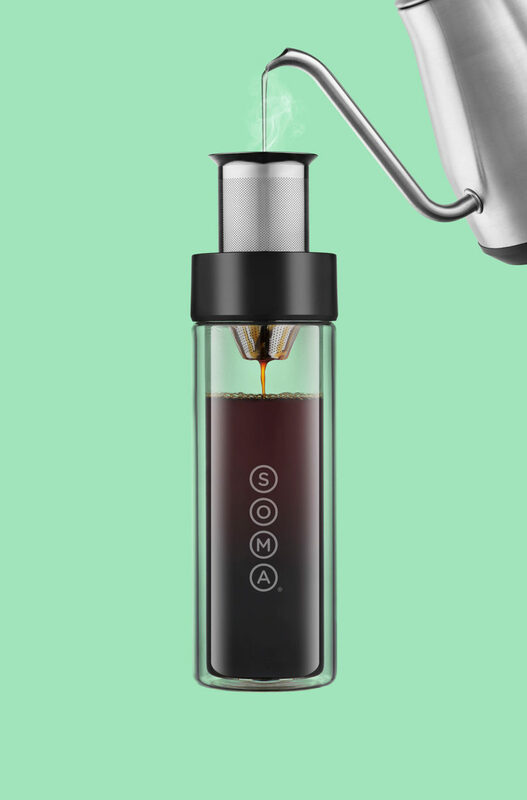 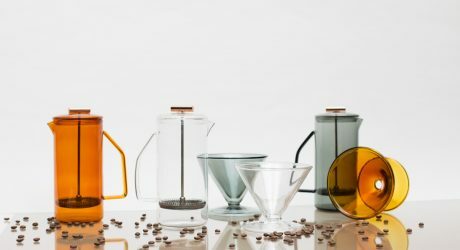 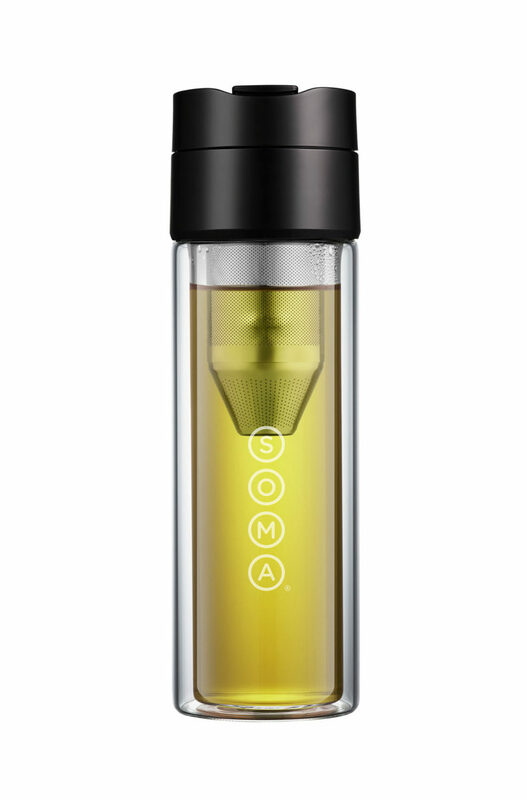 Soma, the masters of sustainable water filtration, just introduced their first product for coffee and tea drinkers. 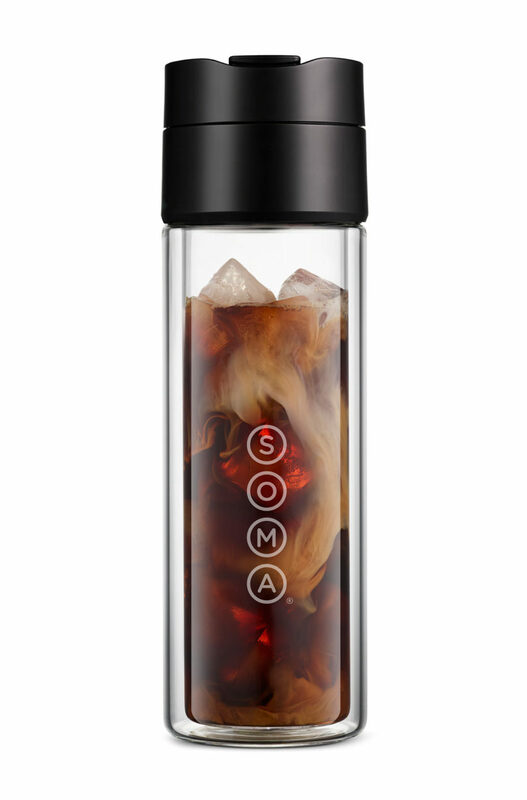 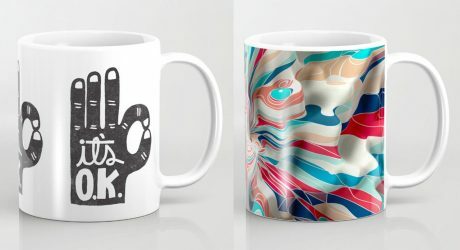 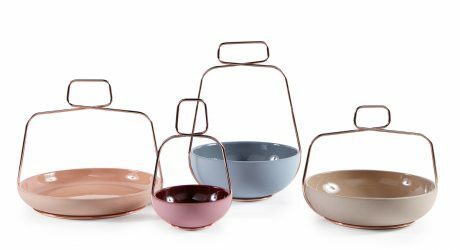 Since a lot of people can’t live without a coffee or tea in their hand, Soma designed the 12 oz. 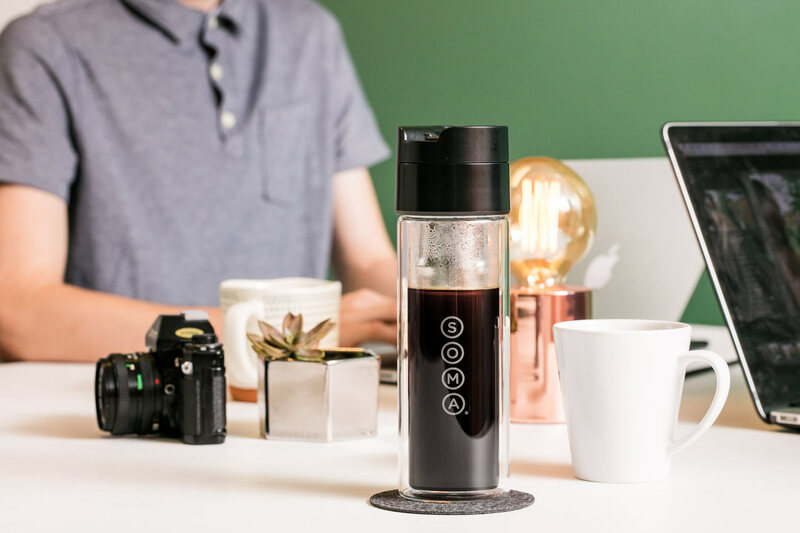 all-in-one Brew Bottle as a way for the average person to make expert brews at home or at the office, and then take it on the go with them. 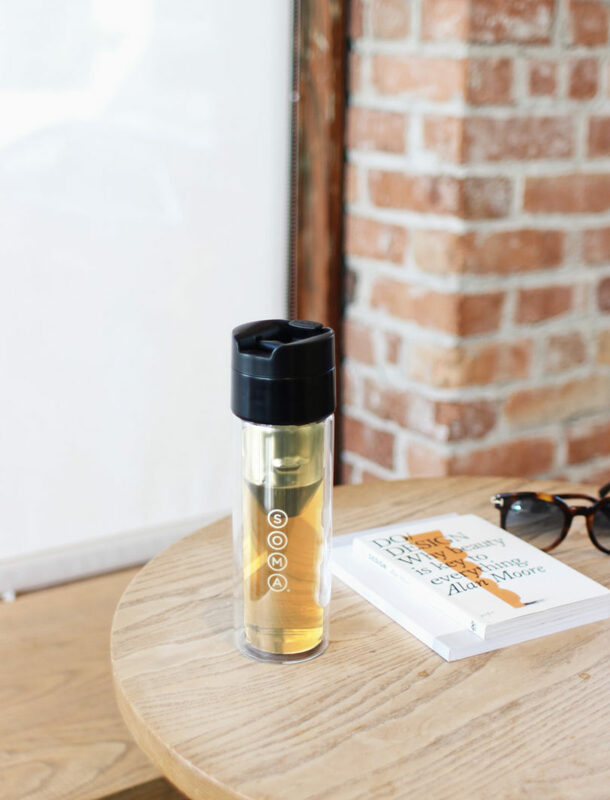 The Brew Bottle is made from BPA-free, double-wall borosilicate glass that helps maintain the temperatures of both hot and cold beverages. 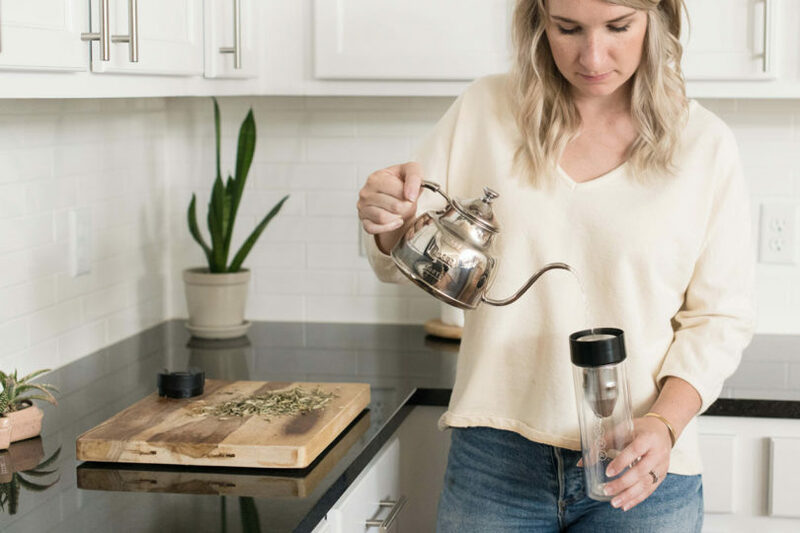 The reusable bottle is outfitted with a stainless steel filter that can be positioned in two ways – one for pour over brewing and the other for immersion brewing. 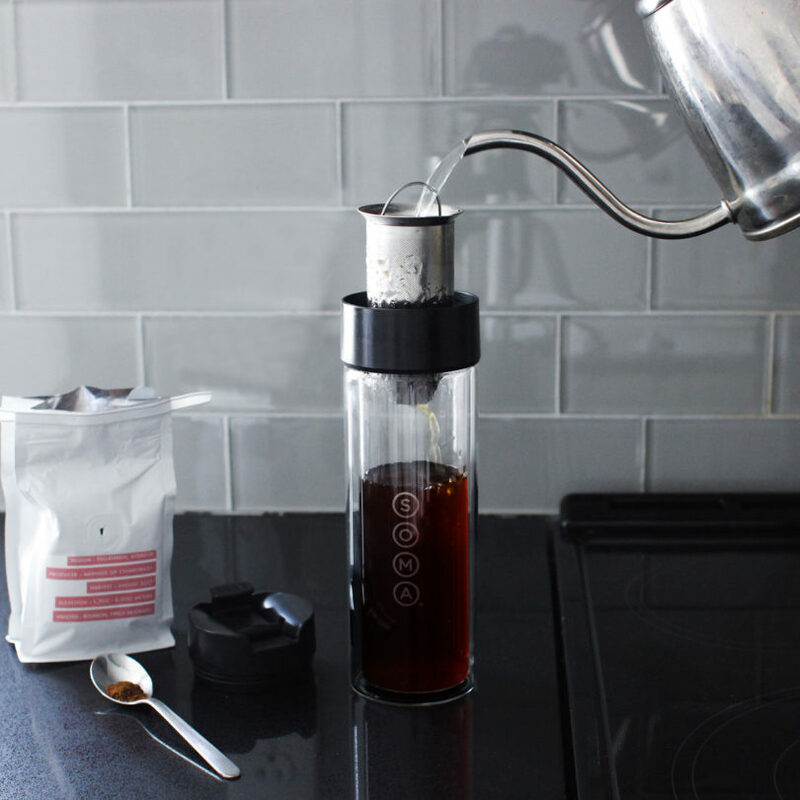 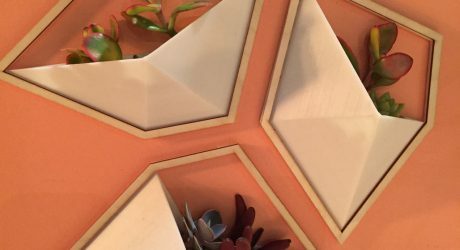 The mesh filter prevents coffee and tea sediment from entering your brew while letting natural aromatics through for the perfect taste. 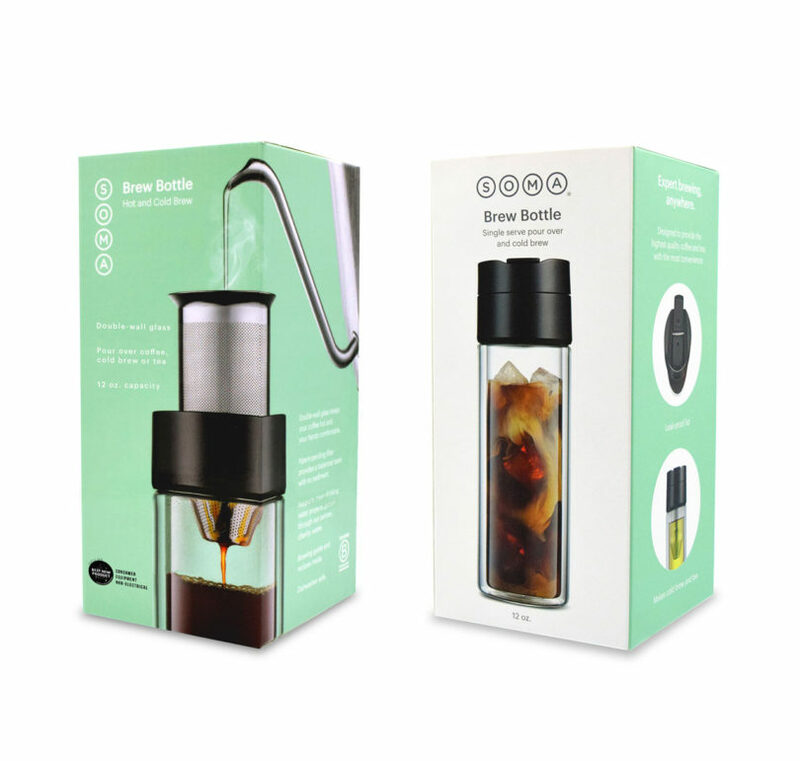 The best part is that it all happens within the same portable bottle, whether you want to brew your favorite pour over, cold brew, or tea. 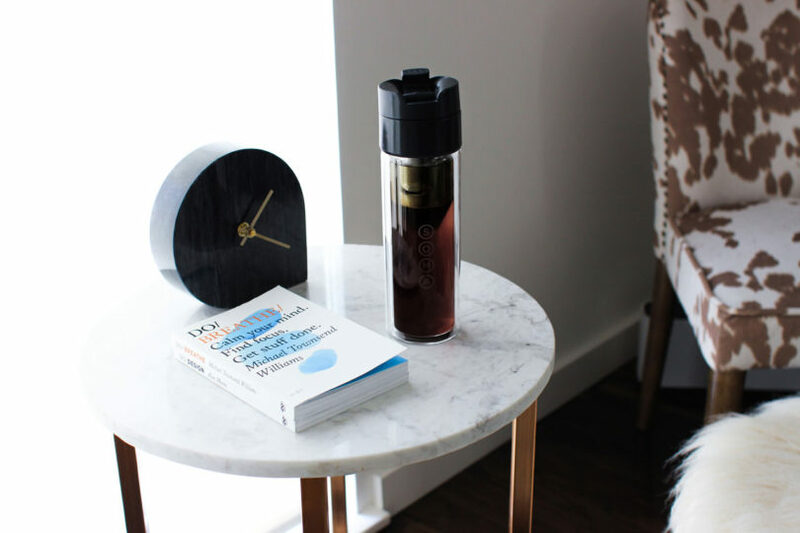 If you want hot coffee or tea, add your favorite coffee grounds or loose leaf tea and fill with hot water. 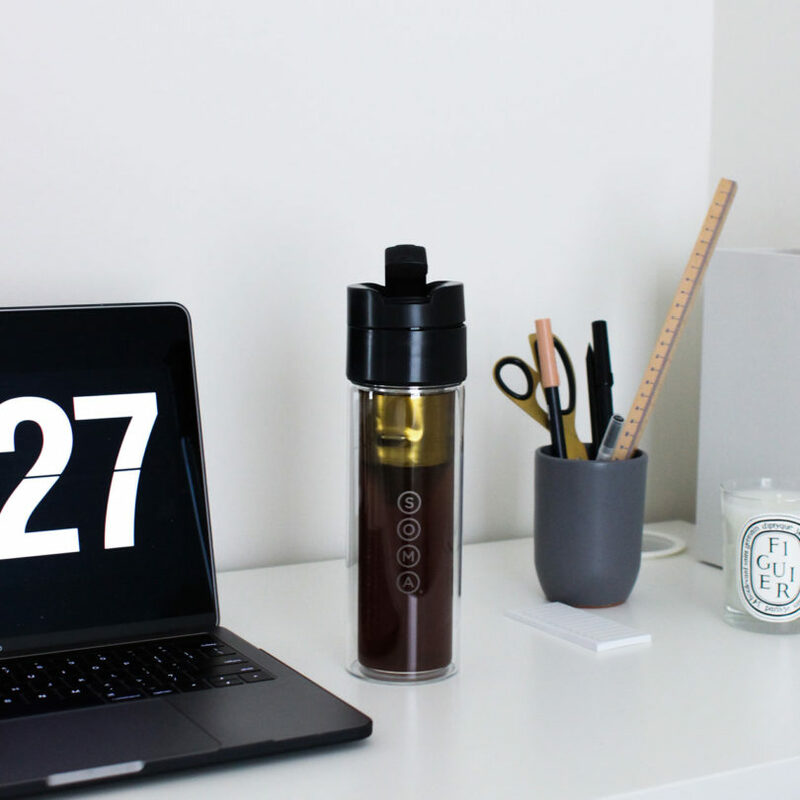 If you’re more of a cold brew person, combine coffee grounds with water in the Brew Bottle and then refrigerate overnight. 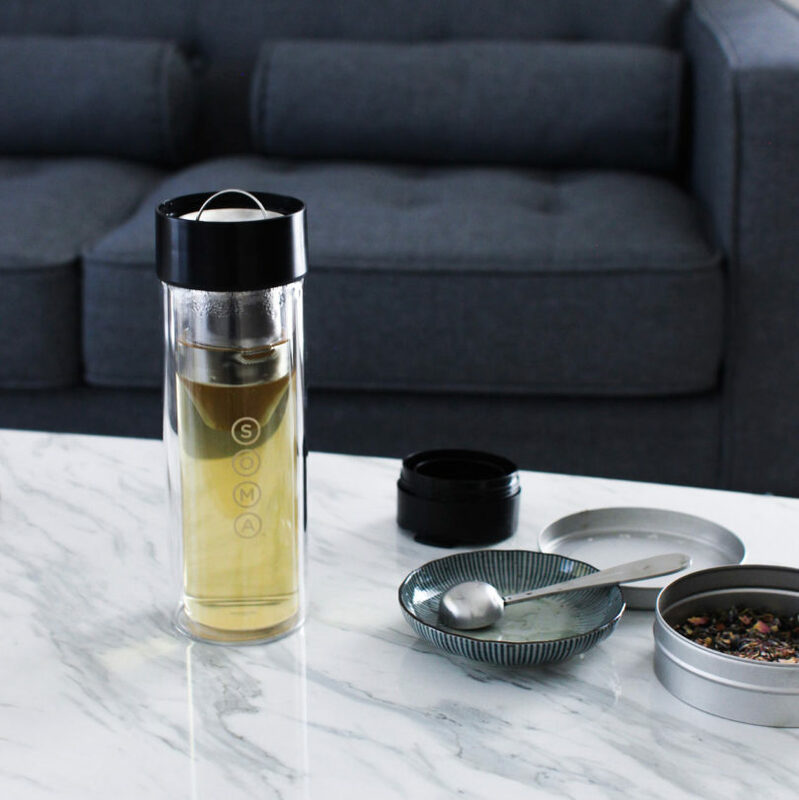 For iced tea drinkers, brew your tea and then stick it in the fridge until you’re ready to drink. 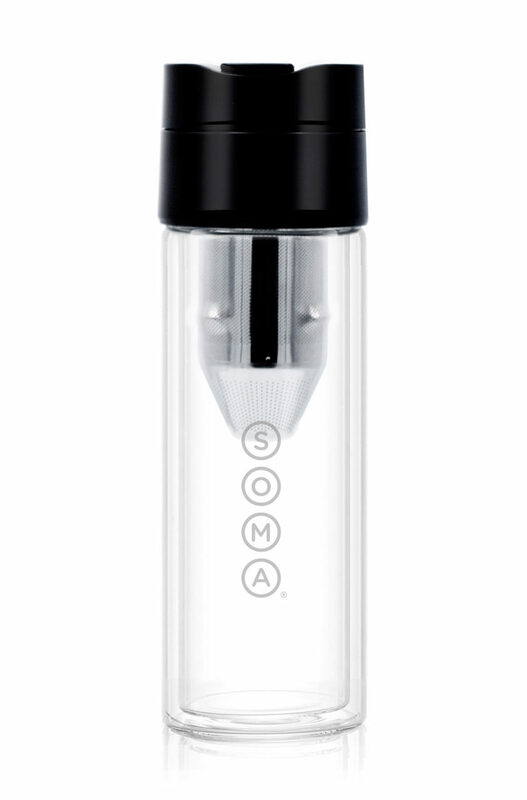 The Soma Brew Bottle can be purchased here. 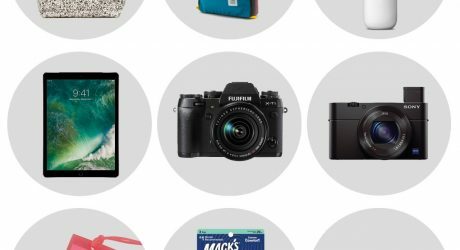 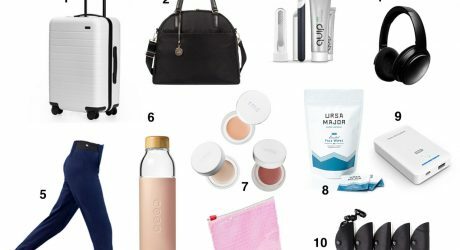 Our travel editor shares her favorite essentials + tips for your next trip. 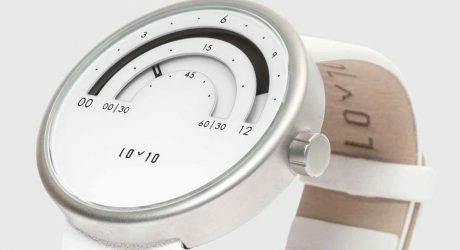 While still respecting the analogue spirit, this watch challenges you to read time in a different way using two arcs. 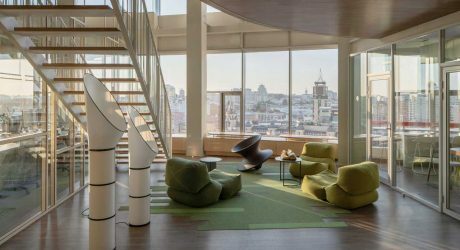 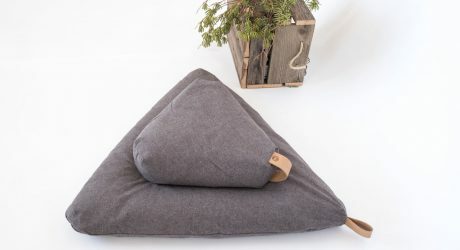 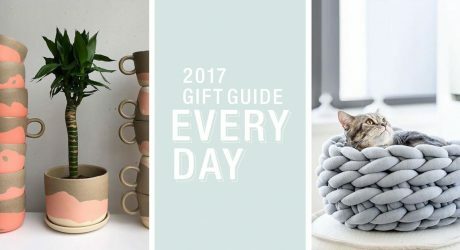 If you meditate, you'll want to relax on these modern meditation cushions.